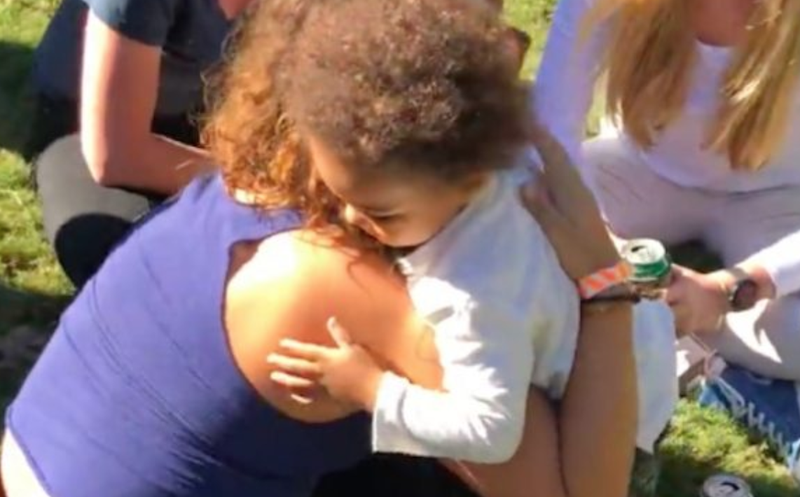 Get prepared to say 'Awww' after watching this adorable toddler's random act of kindness by spreading love to strangers in a park. If there's one thing that kids love, it's playing outside. Parks, playgrounds, and the beach are but a few places that parents love taking their kids to. I'm not talking about the playground I spoke about on Wednesday, that's a whole other story! I've come across the most adorable toddler ever who was out with his parents at the park. When it was time to go, he had to say 'bye bye' to all the strangers around him by giving them each a hug. Good Things Guy reports that the parents were out in the park listening to live music, and when they decided it was home time, their son, Jude, had to spread love to those around him. In the video, you see the mom walking her little guy around the park while he hugged each and every person, and dad was there as well to capture the really cute moment on video. The video is breaking the internet and has over 33-million views at the time of writing. Let's take time today to learn a lesson from little Jude. It costs nothing to smile, greet, and give a hug to a stranger who needs it.